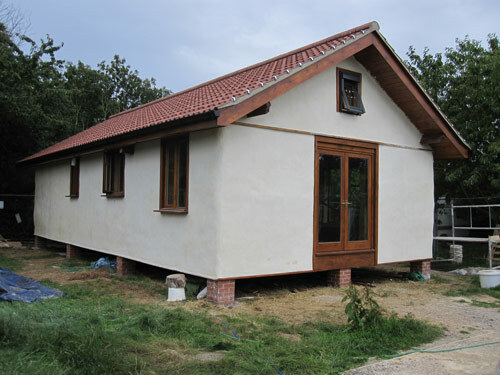 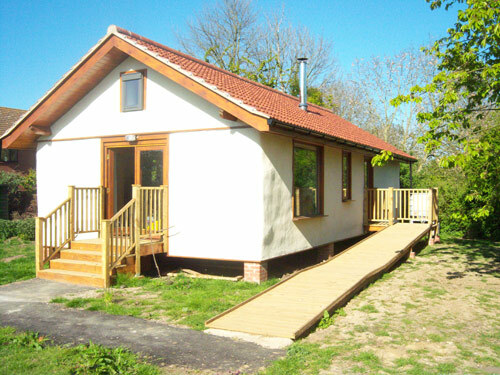 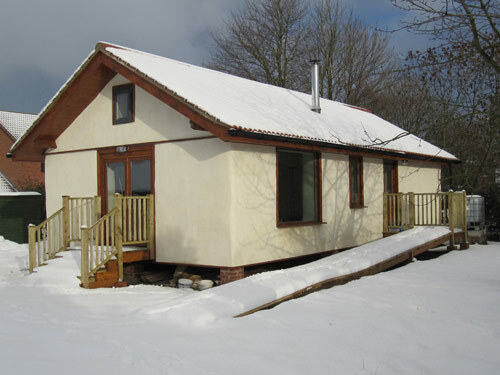 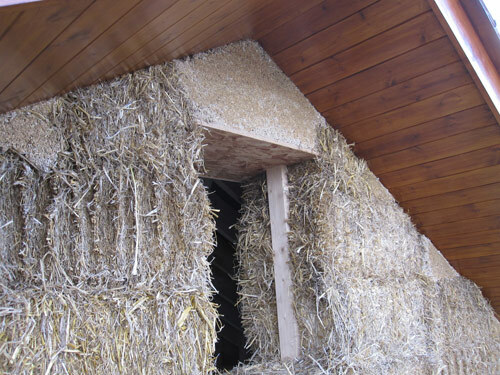 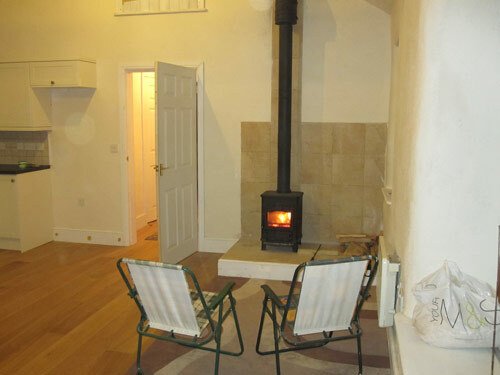 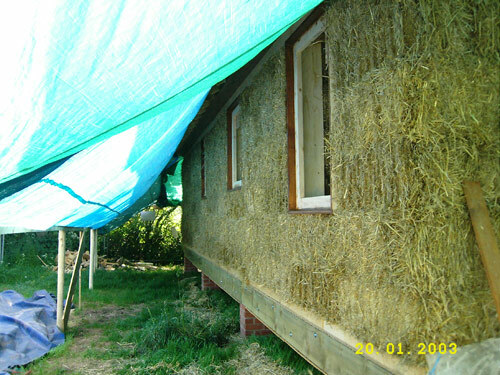 This 2 bedroom bungalow near Driffield was constructed using local barley straw bales in the load bearing method. 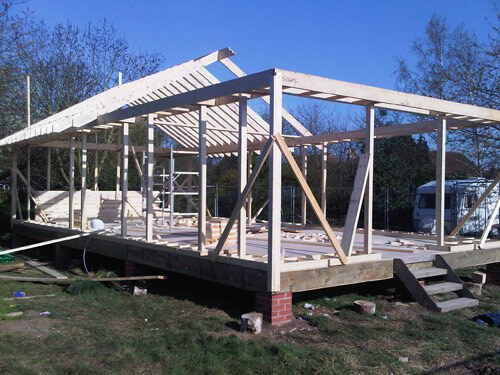 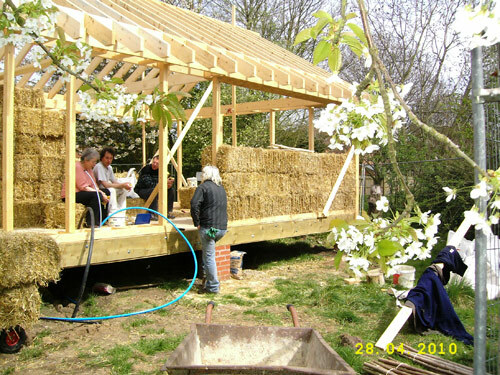 The top plate and roof trusses where in place ready to lower onto the last course of bales so that the building was water tight in record time. 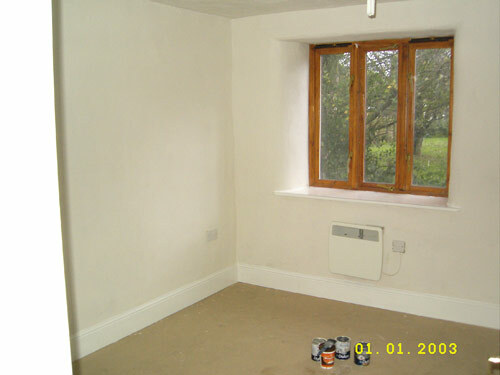 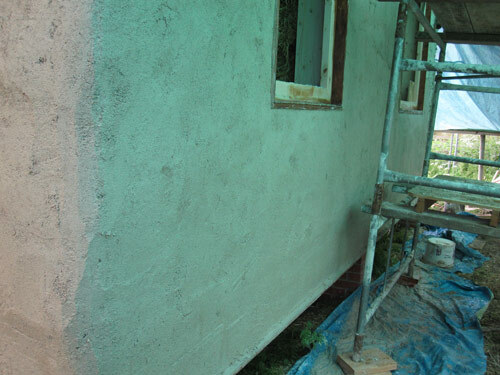 The lime render on the outside allows the walls to breathe whilst providing strength and weather resistance. 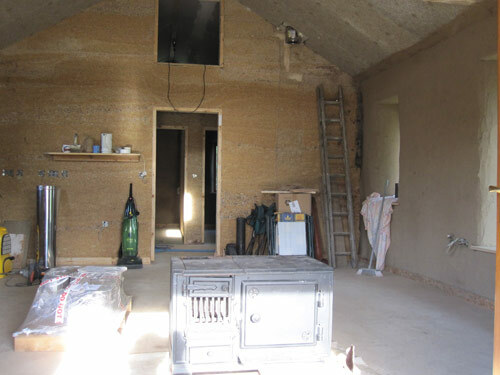 The clay plaster on the inside provides thermal storage and humidity control. 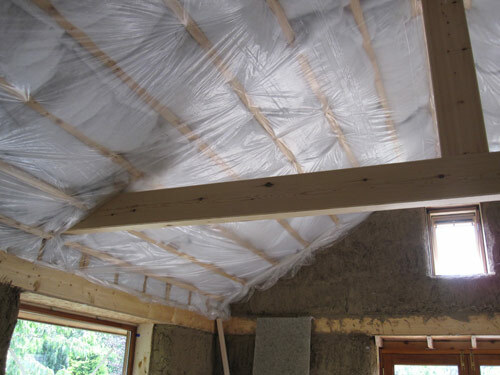 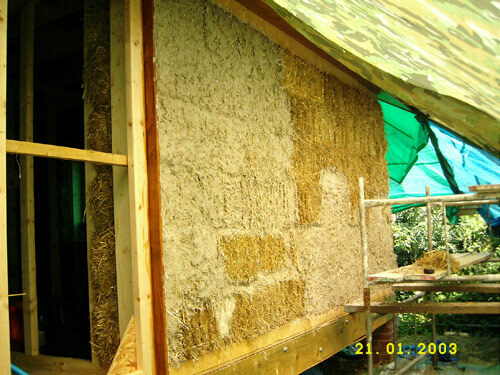 The floor and roof were insulated with batts made from recycled plastic bottles.